Relax in the stunningly beautiful blue lagoon, one of the most unique attractions in Iceland. Visit Skogafoss waterfall, a 60km high natural beauty. Visit Asbyrgi - a beautiful horse shoe shaped canyon located in Jökulsárgljúfur National Park. See Hvítserkur - an unusual, monster shaped crag rising from the sea. Last year our Big Blog Exchange winners exchanged countries, blogs and cultures with each other for 10 days - and this year sees the turn of 16 new bloggers! 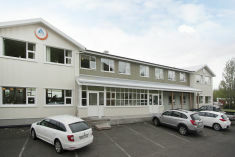 This tour around Iceland brings you to all the main attractions and highlights of the country. 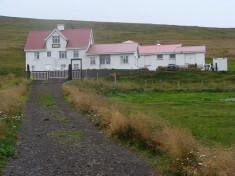 It includes the Snæfellsnes peninsula in West Iceland and the Reykjanes peninsula in South West Iceland. If you're interested in volcanism, you'll love both of these incredible attractions! 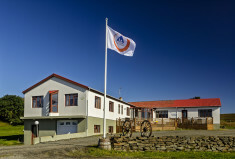 The famous Blue lagoon is situated on Reykjanes. Around Iceland not only concentrates on Icelandic nature, it also allows you to gain some insight into Icelandic culture and history. The tour starts in Reykjanes (Keflavík Airport) and goes around the country against the clock, but of course, you can do it the other way round as well. 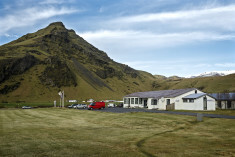 You can also start this tour from Egilsstaðir in East Iceland if you get to Iceland by ferry. Actually, since it is a circle tour you can start it from any place along the ring road no. 1.